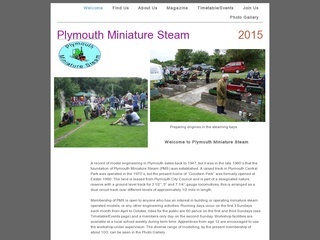 Membership of Plymouth Miniature Steam is open to anyone who has an interest in building or operating miniature steam operated models, or any other engineering activities. Members operate live steam, petrol and battery powered railway models of 3, 5 and 7 inch gauges, on a ground level track, which measures almost half a mile. This is located in a valley on the outskirts of the city, that has been designated as a nature reserve.